GigaBlue RCU Universal v.3 - Buy at dreamportugal.pt! Modern and robust remote control. Compatible with all GigaBlue receivers. 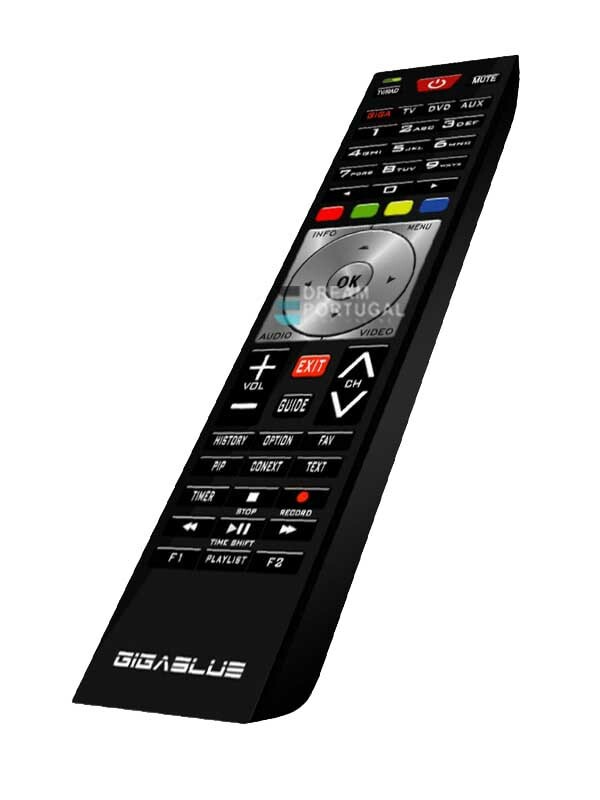 Besides GigaBlue devices it can be used with your TV, Plasma, LCD or with your projector and your DVD player. Replaces your lost or broken remote control. Direct Code Entry: One time setup procedure using a 5-digit code to set the remote to control each device. Search method: A function that allows the user to search through all codes in the remote control (should not work the codes or the brand is not listed). Data are based 100% on the original remote controls of the manufacturer.